Bridal Shower Gift. Gift For Friend. Great Teacher Gifts. Personalized Gifts. Custom Baking Pan. Mother's Day Gifts. Personalized Pan. Gift For Grandma. Gift For Mom. 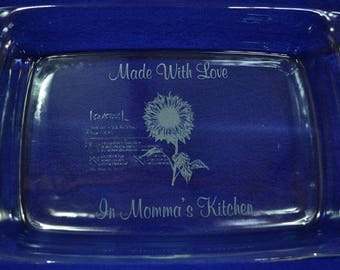 Personalized Gifts For Mom. Custom Baking Pans. Great Gifts For A Cook. Foodie Gifts. Housewarming Gifts. Custom Gifts. Engraved Gifts. Baking Pan. Gift For Daughter. Great Gift For A Friend. Bridal Shower Gifts. 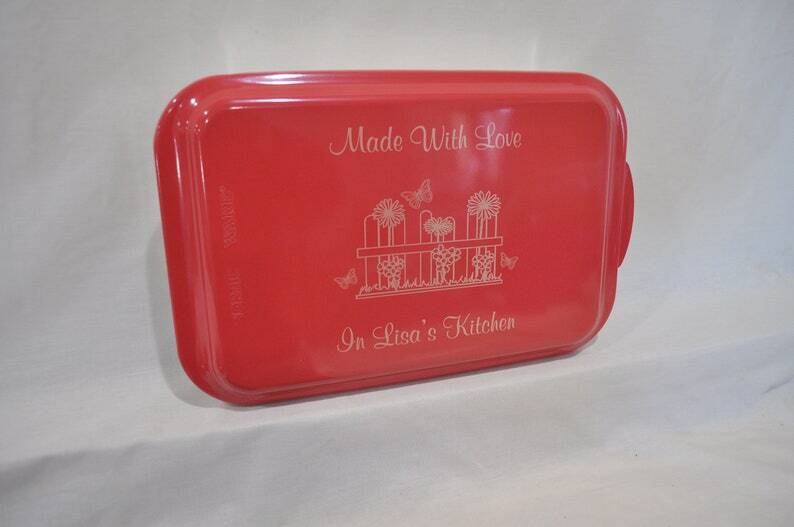 We have chosen this great sturdy American Made Pan as our go to cookware with these great colored lids that can be personalized just for you. 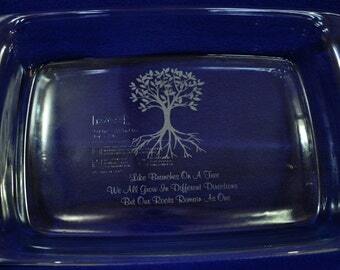 We engrave and have wonderful images for every occasion! We would love to personalize one for you! This Listing is for Flowers and Fence Image (you may request any name, Grandma, Mom, Auntie,...Please check back often and see our other wonderful designs being added daily! We pack and ship USPS and will make sure your gift arrives on time and in perfect condition. One of a Kind Gifts From SpringbrookEngraving! 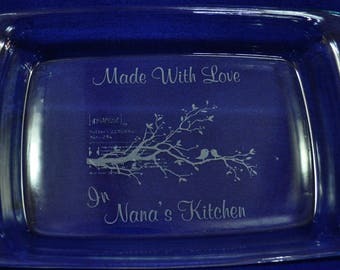 We create and design gifts that make a memory and last a lifetime! Thank you for choosing our shop for your Special Cook! Beautiful First Communion keepsake. I’ve given them to both my sons and nephews! I buy a Lego rosary to put in them as part of the gift and it’s always a hit!